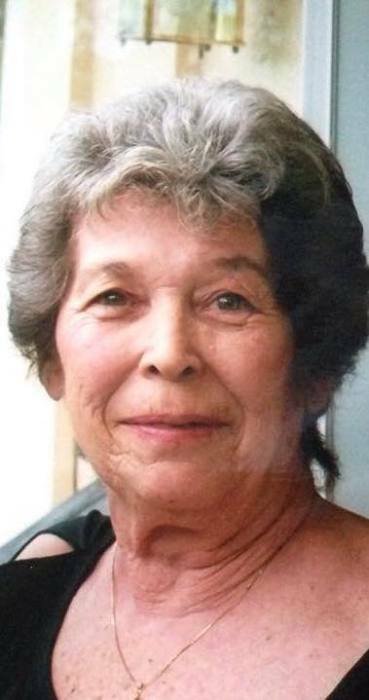 Victoria Lee “Vicci” (Holloman) Gustafson, age 79, of Whitman, passed away into eternal peace on Wednesday, February 6, at home surrounded by her children. Born in Boston, she was the only daughter to the late Edith (Dunn) Holloman Gardiner and Robert Holloman. She will be fondly remembered by her long lost Gardiner siblings with whom she was recently reunited after being found through genealogy research, Tom and his wife Mary, Paul, Carolyn and Deb. Devoted mother, she is survived by her children, Kimberly Gustafson of East Bridgewater, Paul Gustafson of Weymouth, Laura Cashman and her husband Michael of East Bridgewater, Mark Gustafson and his wife Michele of East Bridgewater, Robert Gustafson, Victoria Gustafson and Jennifer Gustafson, all of Whitman. Most loving Nana to her grandchildren, Daniel Moore Jr. and his wife Passion, Erik, Emily, Samantha, Amber, Erin, Ashley, Shay, Elizabeth, Gabriella and great-granddaughter Ava. Vicci spent many years living in Hull because of her great love for the beach and ocean. Through the years she thoroughly enjoyed gardening, cooking, sewing, knitting, crafts, music, dancing and she loved all animals. She was the most enthusiastic thrift store shopper that ever was. She will be admirably remembered for her amazing strength, deep compassion, and endless love of family. To fulfill her wishes, her children will be having a “Celebration of Life” on her upcoming 80th birthday on Saturday, March 23rd. Please consider making a donation in memory of Vicci to Hospice of the South Shore, 30 Reservoir Park Drive, Rockland, MA 02370.